On August 7, 1900, eight men affixed their signature or mark to the handwritten letter requesting a charter for a bank in Vienna. These founders of The Maries County Bank were John Coates, Thomas Felker, J.H. Roberts, John Otto, T.F. Branson, Antone Feldkamper, John Birmingham and Peter Redel. Between them they owned 100 shares of stock valued at $10,000. With the granting of the charter on August 17th, The Maries County Bank was in business. When The Maries County Bank opened on September 1, 1900, Vienna was 45 years old and had a population of about 350. The bank operated for about seven years from a small frame building in the middle of town, on what is now Fourth Street, across from the north side of the courthouse. By 1906 the bank was ready for its own facility and in May a building site further east on Fourth Street was purchased from Mr. and Mrs. J. H. Bodendick. The new building was constructed of concrete blocks made to look like stone by a block machine owned by Father Fugel, local priest and founder of The Home Adviser newspaper. The official 1907 Report on Examinations of the State Banks of Missouri listed the building’s value at $1,600. Since the Vienna main location has gone through many upgrades, including adding a second level to the building, and then eventually a new building, located on Highway 63. In February of 1973 The Maries County Bank received permission for a branch bank near Argyle. The Argyle branch, just inside the Maries County line on Highway AA, opened on November 5, 1973. The branch is now a full-service bank, offering loans, checking and savings accounts, certificates of deposit, bonds and a night depository. Then in October 2004 a new facility was opened in the Village of Argyle to service their customers better. On May 5, 1997, a branch facility opened in Dixon. Then called, The Community Bank of Dixon opened for business in a trailer until December 15, 1997, when the Dixon branch moved into its permanent building. It is also a full service bank, offering new accounts, loans, an ATM and more. 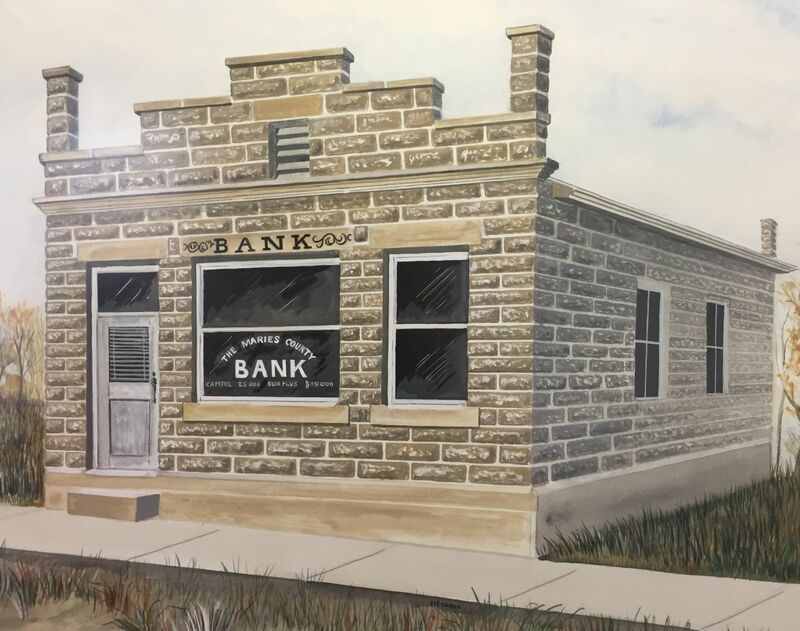 On March 31, 2003, The Maries County Bank merged with Belle State Bank which included Belle State Bank – Uptown, Bank of Vichy and the Community Bank of Owensville. In the summer of 2011, The Maries County Bank received approval to open a branch in St. James, known as Community Bank of St. James. On April 1, 2015 The Maries County Bank merged with First State Bank of St. Robert which included a branch in Richland and a branch in Iberia. The board of directors, officers, and staff of The Maries County Bank would like you to know how much we appreciate your patronage. Without the support and confidence you have placed in us, our institution would not exist and prosper. Our customers are the motivating force behind all we do. We are honored to serve your financial needs.